Is There Any Power in PowerPoint? 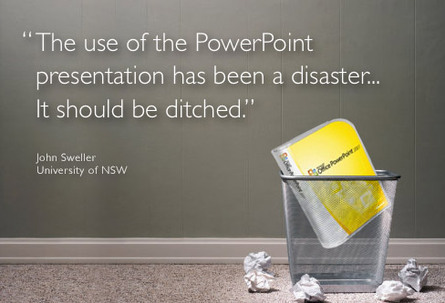 Have you ever noticed that effective speakers rarely use PowerPoints? Speakers know that they’re the reason that there’s people in the seats, and that they’re the star, not a PowerPoint presentation, no matter how well it’s done. For years we’ve communicated successfully by using our verbal skills. the “Experts” (whoever they are) say the best method is story telling and the best stories are those that aren’t memorized, practiced or rehearsed. If your topic is something that you have a passion for notes and PowerPoint slides aren’t necessary and will actually detract from what you have to say. How many times have you sat in on a keynote and because you were so busy writing down what was on the PowerPoint that you missed out on what was being said? It’s also been said that PowerPoints are not only a distraction, but too often they’re used as a crutch for those who aren’t confident in their speaking abilities. Don’t get me wrong, I enjoy putting a PowerPoint together, I just don’t like nor endorse using them because I’ve found myself leaning on them when giving a talk or presentation. I find the same for using notes. I almost feel mechanical and lose the passion and the ability to stay loose which I think are important ingredients for an effective speaker. Making eye contact with your audience is necessary. How else can you gauge whether your audience is listening to you or not? If your head and eyes are focused on notes or your carefully crafted PowerPoint you will miss reaction or non reaction by your audience. Texting on the BlackBerry, iPhone, Android, etc. I hope you’re getting the message I’m attempting to convey. If you haven’t here it is. If you can’t do without a PowerPoint, keep it brief. Wayne Schulz sent me the following link to an article that he had just read. It was written by Socialcast founder Tim Young detailing how he raised $10 million Venture Capital money using just a 5 slide deck. It was originally published at Knowledge is Social. Welcome to the last few days of 2010. This time of year is always interesting. It’s a time of reflection upon another year of goals met and the ones that we just missed. 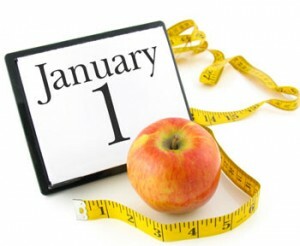 Of course it’s also a time to look forward and make resolutions that we know we’re not going to keep. I think that making resolutions is just a way of making ourselves temporarily feel better about ourselves only to be followed by feelings of failure and shame because we didn’t reach our goals. I was at dinner tonight with some friends and the topic of New Year’s Resolutions came up. It was a clear consensus that no one at the table was going to make any resolutions for 2011 for the simple fact they had always failed and one person at the table put it in a way that even I could understand. She said that too many people made resolutions that they had no interest in, i.e., joining a gym rather than doing some they liked such as walking along the beach. So what resolutions is Bill going to make for the New Year? None, absolutely zero.